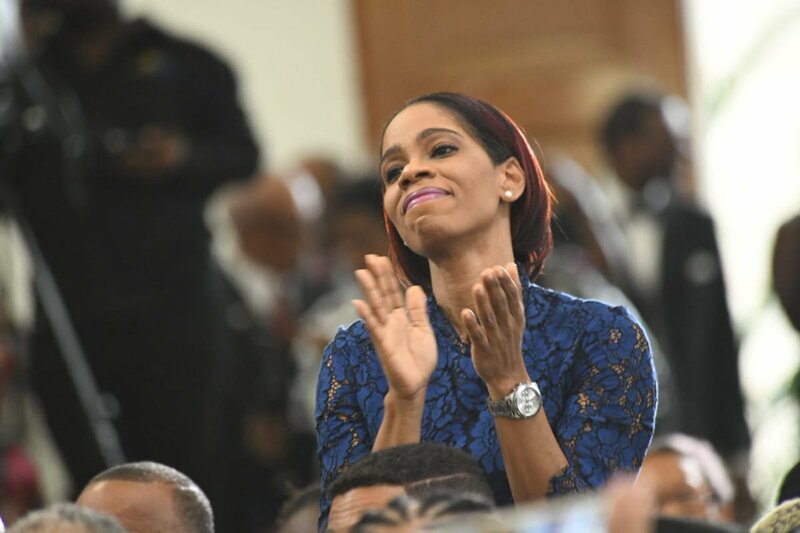 It was the final curtain call – a solemn service of sadness yet celebration to bid farewell to Jamaican broadcast icon Dorraine Yvette Samuels Binger. Samuels died last month at the age of 59 from a cancer she fought for months with her radiant smile and a personality so infectious you could touch it. 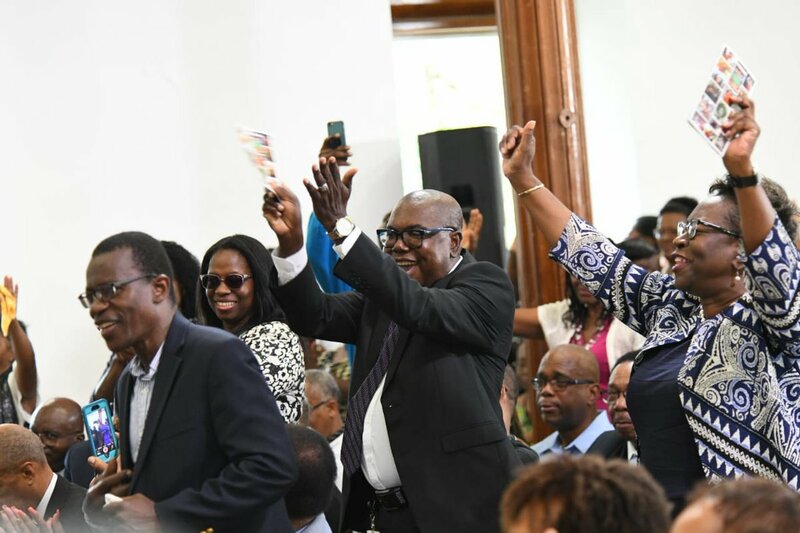 At the University Chapel at the University of the West Indies, Mona this morning, hundreds of civic and business leaders, colleagues and well-wishers gathered for the final wrap on the life of a broadcaster who dedicated 38 years to RJR 94FM, a member of the RJRGLEANER Communications Group. A large tent erected outside the 1959 stone wall edifice could not hold mourners who travelled from far and near to pay respect to their Dorraine, and when the two-hour service came to an end, they searched the pews for copies of programmes that might have escaped the secure grips of those who sat there. Susan Channer was among Dorraine's biggest fans. She travelled from Old Harbour Road in Spanish Town, St Catherine to the funeral. "I follow the personalities everywhere they go," she told The Gleaner, and with the passing of the "great, great" Dorraine Samuels, Channer said she had to see her off. Claudette Francis, one of Dorraine's former household helpers was also there. "Is mi grow har children dem," Francis told The Gleaner. She had just conveyed words of comfort to Russell Rickards, Samuels' only son. Earlier, Russell, hugging his baby sister, Morgan Binger, fought back the tears as big sister, Melissa Rickards, opened the tributes to their mother. "'My one son', that's how she always referred to me," Melissa read on Russell's behalf. "My mother was an amazing person, one who always led by example and by doing so, taught us so much." In her own tribute, and in Morgan's too, Melissa said their mother never failed to show them love and taught them the importance of negotiation. She also recalled how she became her mother's "handbag" turning up at outside broadcasts and at other work engagements. 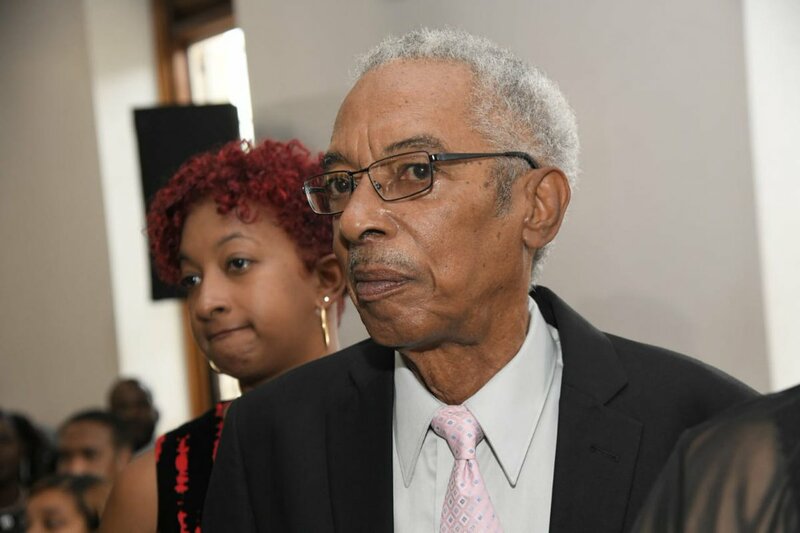 CEO of the RJRGLEANER Communications Group, Gary Allen, said there were not enough words to describe Samuels' impact, life and work. 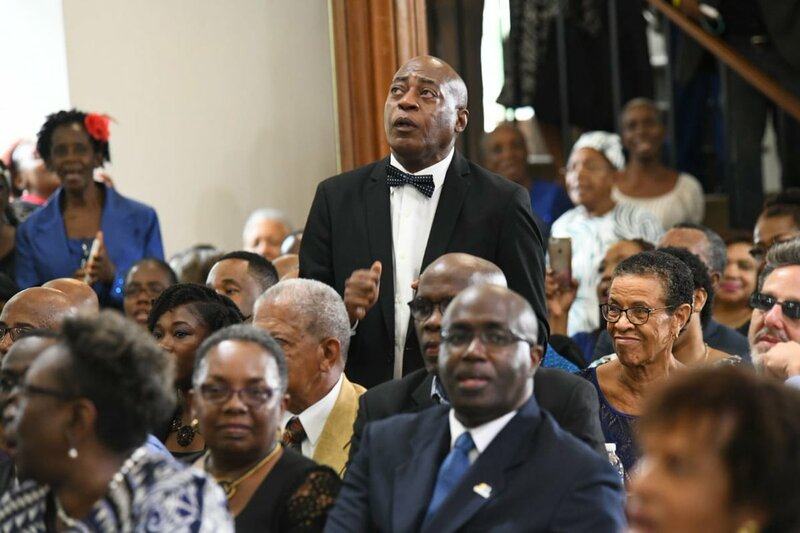 "Fittingly, on the day that she passed, we in the RJRGLEANER Communications Group were proud to report that our political leaders paused the business of the country, noted her sterling contribution and paid tribute across the aisle to this outstanding Jamaican lady," he said. He cited the words of a message posted at Samuels' work station which read: "I want to inspire people. I want someone to look at me and say because of you, I never gave up." Allen said he was assured that Dorraine had done her job to inspire people. Her sister, Carol, echoed the sentiment. "From the mighty to the small, she was a rainbow on a rainy day," said Carol with her sister Pat by her side. Between tributes, beautiful voices from the University Singers, the Jamaica Youth Chorale and Sharda Smith arrested mourners' attention with thrilling renditions. But the University Singers would bring people to their feet in their ultimate performance when they delivered the 'Revival Suite'. 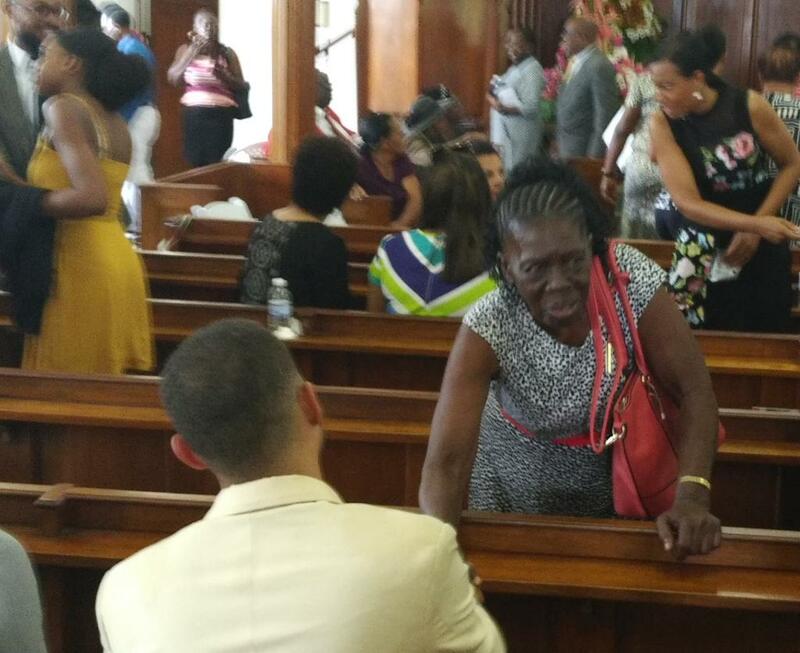 Director of Public Prosecutions Paula Llewellyn and journalist Cliff Hughes were among the spritely congregants who could not keep their seats. 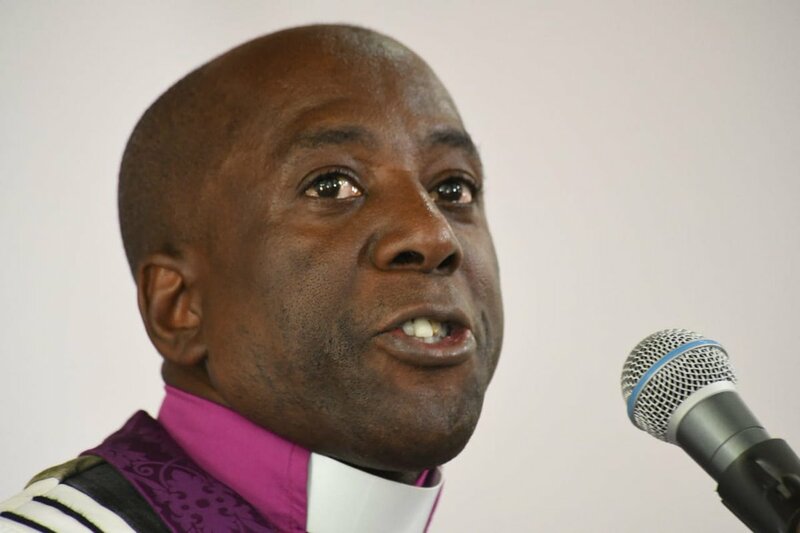 They had also listened to Samuels' co-worker Rev Gary Hariott deliver the homily, saying that her passing should act as a wake up call for people to surrender to the Lord. Hariott also said he was honoured to have worked with the late broadcaster. Samuels died on March 26 at the Tony Thwaites Wing at the University Hospital of the West Indies.